CodeRage XI and Black Friday Sale!!! In honor of CodeRage XI, we are kicking off our Black Friday sale early this year. From now through December 2nd, everything is up to 20% off! Act now to take advantage of these great prices! Registered users, please go to the Support page to get the latest versions. Evaluation versions are available from the Downloads page. We have released an integrated online help for all RiverSoftAVG products. These help pages contain all RiverSoftAVG component products that have been converted to Documentation Insight (i.e., the help is embedded with the source and is available from DocInsight in the IDE. Note that the Inference Engine Component Suite has not been converted to Documentation Insight yet, and therefore only stubs exist online for its components. Please refer to the offline help file that comes with the product for more complete information. Please see the RCCS_version_history and RSCL version history for more details. Registered users, please go to the Support page to get the latest versions. The RCCS is available from here. The demo applications for the RSCL have been updated to use the latest RSCL and the Delphi Berlin compiler, including all fixes since March 1, 2016. Get the latest version of the RSCL demo apps here. Please see the IMPACT version_history for more details. Note that IMPACT REQUIRES the RiverSoftAVG SVG Component Library v2.x. You must either already own the RiverSoftAVG SVG Component Library or buy IMPACT as a bundle with the SVG library. Registered users, please go to the Support page to get the latest version. There are demo applications available from the IMPACT page. An evaluation version is available from the Downloads page. Registered users, please go to the Support page to get the latest versions. Evaluation versions will be available soon. The Early Experience Program (EEP) allows you access to RiverSoftAVG IMPACT before it is officially released, while taking advantage of pre-release prices. When IMPACT is released, you will automatically receive the release version. Note that IMPACT REQUIRES the RiverSoftAVG SVG Component Library v2.x. You must either already own the RiverSoftAVG SVG Component Library or buy IMPACT as a bundle with the SVG library. Registered users, please go to the Support page to get the latest versions. Evaluation versions and the full version of the RCCS (for non-IECS owners) are available from the Downloads page. The RiverSoftAVG Summer Sale has started!!! Prices have been reduced on all products up to 30%, even on the site license prices! This is in addition to our already reduced prices on the RiverSoftAVG SVG Component Library and the RiverSoftAVG Charting Component Suite Commercial License. Go to our Order page to take advantage of these fantastic prices. We are really excited to announce RiverSoftAVG IMPACT, an instrument package add-on for our RiverSoftAVG SVG Component Library (RSCL). IMPACT provides high quality, resolution independent, and easily customizable instrument components. 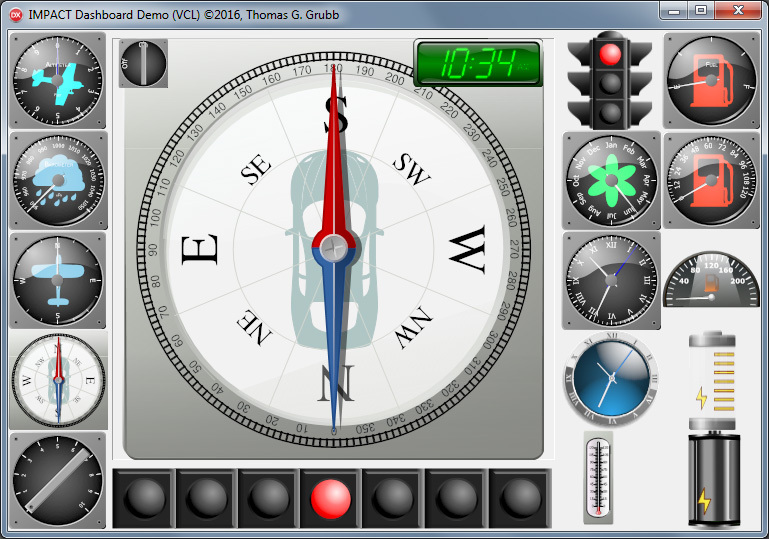 IMPACT supports Delphi XE4 through 10.1 Berlin, VCL and FMX, and is for Windows, Mac OSX, iOS and Android. IMPACT comes with a large suite of gauges and gadgets, including clocks, compasses, batteries, speedometers, lights, an altimeter, barometer, and more. Easily add IMPACT to your applications with this new addon from RiverSoftAVG. Registered users, please go to the Support page to get the latest version. There are demo applications available from the IMPACT page. Note that all products were recompiled because of a new unit in the RiverSoftAVG Common Classes Library Please see the FLCL version history, GACL_version_history, IECS_version_history, RCCS_version_history, RSCL version history and the RCCL version_history for more details. All of our current products have been updated. There was a problem with the controls being grayed out when the iOS 64-bit target was selected. This has been fixed for all products. Also, there were minor updates to the RiverSoftAVG SVG Component Library. There are also new evaluation versions. Please see the RSCL version history and the RCCL version_history for more details. To order, go to the Order page. The evaluation version is available from the Downloads page. Of course, compiled demo applications are still available from the SVG page, and we encourage you to try your SVGs with them before ordering to ensure the RSCL supports them. The RSCL is on sale for 30% off until the release of v2.0. To order, go to the Order page. All of our current products have been updated. There are also new evaluation versions, including the first evaluation version of the RiverSoftAVG SVG Component Library. Registered users, please go to the Support page to get the latest versions. To order, go to the Order page. We've updated the v2.0 Beta applications in demo applications on the SVG page. The new applications have important bug fixes for text. Black Friday Sale All Week! We've updated the v2.0 Beta applications in demo applications on the SVG page. The new applications have important bug fixes for text, view boxes, and streaming. We've updated the demo applications on the SVG page with a Streaming Demo App (FMX). You can load an svg and see what the XML SVG and Delphi Binary SVG output would look like and how long each format takes to save. In addition, some of the demo applications on SVG page have been updated to use v2.0 EEP code. This includes the SVGImageVCL/FMX and SVGPaintVCL/FMX applications so that you can test compatibility with your SVGs, and a new Anatomy Explorer application which shows how a user can select SVG elements in a SVG. The RSCL v2.0 is truly a major upgrade. Check out the RSCL version history to see the over 100 new features, approximately 40 bug fixes, and over 50 refactor changes. This is in addition to the 11 new functions and classes and 7 bug fixes in the RiverSoftAVG Common Classes Library. To order, go to the Order page. Note that all products have been recompiled to support the updated RiverSoftAVG Common Classes Library. Registered users, please go to the Support page to get the latest versions. Please see the RSCL version history for more details. Registered users, please go to the Support page to get the latest version. In addition, there are demo applications for loading and displaying SVGs on the SVG page. Please see the RSCL version history for more details. Registered users, please go to the Support page to get the latest version. In addition, there are new demo applications for loading and displaying SVGs on the SVG page. Note that the RiverSoftAVG Common Classes Library was updated so new recompiled versions of our other products are also available. Genetic Algorithms & Programming Component Library v5.0 has been officially released!!! We are very pleased to announce the official release of the Genetic Algorithms & Programming Component Library version 5.0. Version 5.0 is a free upgrade for users who bought the GACL after Dec 1st, 2014. Users who bought the GACL before December 1st, 2014 need to purchase an upgrade from the orders page. Genetic Programming Components - Solve problems like Curve Fitting, Data Modelling and Symbolic Regression; Decision Strategy, Game Control, and Industrial Process Control; Image and Signal Processing; and Financial Trading, Time Series Prediction and Economic Modelling. Please see the GACL_version_history for more details. Registered users of version 5.0 EEP, please go to the Support page to get the latest version. An evaluation version of the GACL is available from the Downloads page. Note that there is no evaluation version for Appmethod. Appmethod does not include the VCL support routines we require for evaluation versions. Please see the RSCL version history for more details. Registered users, please go to the Support page to get the latest version. In addition, there are demo applications for loading and displaying SVGs on the SVG page. Note that the RiverSoftAVG Common Classes Library was updated so new recompiled versions of our other products are also available. Registered users, please go to the Support page to get the latest versions. The RCCS (for non-IECS owners) is available from the Downloads page. Evaluation versions of the GACL, FLCL and IECS are available from the Downloads page. Note that there are no evaluation versions for Appmethod. Appmethod does not include the VCL support routines we require for the evaluation versions. The RiverSoftAVG SVG Component Library is still in beta for XE8. In addition, the Early Experience Program for the Genetic Algorithms & Programming Component Library will be released in approximately a week. Please see the FLCL version history, GACL_version_history, IECS_version_history, RCCS_version_history, RSCL version history and the RCCL version_history for more details. Registered users, please go to the Support page to get the latest versions. The RCCS (for non-IECS owners) is available from the Downloads page. Evaluation versions will be available for XE8 soon. RiverSoftAVG Charting Component Suite v6.0 Released! More information can be found in Changes for RCCS v6.x and from the RCCS version history. Check out our new Gallery for more screenshots. As always, the RCCS is free for non-commercial use and comes with the source. For Inference Engine Component Suite owners, this is a free upgrade. We released another update to Genetic Algorithms & Programming Component Library EEP v5.0. The new version 5.0 is currently available through the Early Experience Program. Take advantage of 10% off EEP pricing and get the current GACL now and the new GACL before it is released. Current owners can also take advantage of the discount for upgrading to v5.0. Version 5.0 is a free upgrade for users who bought the GACL after Dec 1st, 2014. This new update fixes bugs and adds a variant version of the genetic programming component. We have also released an evaluation version. More information can be found at the GACL page and the GACL_version history. Registered users of the EEP, please go to the Support page to get the latest version. More information can be found from the RSCL version history, FLCL version history, and IECS version history. Registered users, please go to the Support page to get the latest versions. Evaluation versions of the FLCL and IECS are available from the Downloads page. Note that there are no evaluation versions for Appmethod. Appmethod does not include the VCL support routines we require for the evaluation versions. Genetic Algorithms & Programming Component Library Early Experience Program!! We are really excited to announce the Genetic Algorithms Component Library is getting a major upgrade and becoming the Genetic Algorithms & Programming Component Library. The new version 5.0 is currently available through the Early Experience Program (EEP). Take advantage of 10% off EEP pricing and get the current GACL now and the new GACL before it is released. Current owners can also take advantage of the discount for upgrading to v5.0. Version 5.0 is a free upgrade for users who bought the GACL after Dec 1st, 2014. RiverSoftAVG Charting Component Suite v6.0 Second BETA Available! More information can be found in Changes for RCCS v6.x and from the RCCS version history. Check out our new Gallery for more screenshots. The beta is available for download now. As always, the RCCS is free for non-commercial use and comes with the source. More information can be found from the IECS version history. Registered users, please go to the Support page to get the latest version. Evaluation versions and the RCCS (for non-IECS owners) are available from the Downloads page. Note that there are no evaluation versions for Appmethod. Appmethod does not include the VCL support routines we require for the evaluation versions. RiverSoftAVG Charting Component Suite v6.0 BETA Available! Note that all new installers for our products are available, including new evaluation versions of the Inference Engine Component Suite, Fuzzy Logic Component Library, and Genetic Algorithms Component Library. More information can be found from the RSCL version history. Registered users, please go to the Support page to get the latest version. We would like to wish everyone Happy Holidays! Please check back soon for exciting developments with the RiverSoftAVG Charting Component Suite. Black Friday Sale All Week!!! Get Up To 30% Off!!! We are excited to announce that we are offering Black Friday Sale prices all week (until Midnight December 1st). Hurry to our Order page and take advantage of these great prices! More information can be found from the RSCL version history. Note that a couple bug fixes required changes to the RiverSoftAVG Common Classes Library, requiring recompiles of all RiverSoftAVG products. Registered users, please go to the Support page to get the latest versions. In addition to adding XE7 support, these releases also have minor bug fixes. Please see the FLCL version history, GACL_version_history, IECS_version_history, RCCS_version_history, RSCL version history and the RiverSoftAVG Common Classes Library version_history for more details. Registered users, please go to the Support page to get the latest versions. Evaluation versions and the RCCS (for non-IECS owners) are available from the Downloads page. Note that there are no evaluation versions for Appmethod. Appmethod does not include the VCL support routines we require for the evaluation versions. Registered users, please go to the Support page to get the latest version. Other users should check out the demo applications on the SVG page. Registered users, please go to the Support page to get the latest version. RiverSoftAVG SVG Component Library v1.2.2 fixes several bugs. See RSCL version history for more details. Note that there is a new version of the SVG demo apps available on the SVG page. Inference Engine Component Library v5.3.2 fixes a couple bugs, updates the Basic Console (VCL) demo, and added a Basic Console (FMX) demo. See IECS_version_history for more details. Fuzzy Logic Component Library v5.3.1 fixes the code to avoid NEXTGEN and OSX (XE5) internal errors. See FLCL_version_history for more details. RiverSoftAVG SVG Component Library v1.2.1 fixes several bugs. See RSCL version history for more details. Note that there is a new version of the SVG demo apps available on the SVG page. Registered users, please go to the Support page to get the latest versions. Evaluation versions and the RCCS (for non-IECS owners) are available from the Downloads page. We are pleased to announce the immediate release of the RiverSoftAVG SVG Component Library (RSCL) version 1.1. The RiverSoftAVG SVG Component Library is a scalable vector graphics (SVG) component library for Delphi (XE2-XE5) and supports both VCL and FMX. We are extremely proud to announce the immediate release of the RiverSoftAVG SVG Component Library (RSCL). The RiverSoftAVG SVG Component Library is a scalable vector graphics (SVG) component library for Delphi (XE2-XE5) and supports both VCL and FMX. We are in the final two weeks for the Early Experience Program (EEP) for the RiverSoftAVG SVG Component Library (RSCL). The RSCL will be released on January 19th. You must buy the RiverSoftAVG SVG Component Library before then to take advantage of the 20% off EEP pricing discount. We have been hard at work fixing bugs and adding features. If you haven't checked out the demo programs lately, be sure to give them a try again. The RiverSoftAVG SVG Component Library is a scalable vector graphics (SVG) component library for Delphi (XE2-XE5) and supports both VCL and FMX. We have been busy updating the new RiverSoftAVG SVG Component Library (RSCL) and it has come far since it was announced. Since November 17, we have added Android support and a new threaded SVG image component, the help has improved and we have improved the SVG compatibility greatly. The RiverSoftAVG SVG Component Library is a scalable vector graphics (SVG) component library for Delphi (XE2-XE5) and supports both VCL and FMX. We are happy to announce the RiverSoftAVG Holiday Sale!!! Until Dec 22nd, all of our Delphi components are on sale and up to 20% off! In addition, the Early Experience Program for the RiverSoftAVG SVG Component Library(RSCL) is going on right now and you can get the RSCL for 20% off. We are very excited to announce the Early Experience Program (EEP) for the RiverSoftAVG SVG Component Library (RSCL). The RiverSoftAVG SVG Component Library is a scalable vector graphics (SVG) component library for Delphi (XE2-XE5) and supports both VCL and FMX. New TRSPathChart and TRSDBPathChart for the RCCS! Registered users, please go to the Support page to get the latest versions. The RCCS, as always, is available free for non-commercial use and may be downloaded from the Downloads page. The IECS also adds 32 New IECS Functions (OS, Directory, and File functions). Registered users, please go to the Support page to get the latest versions. The RCCS, as always, is available free for non-commercial use and may be downloaded from the Downloadspage. We apologize. We know you have been hoping to get your hands on the XE4 versions of our components. Unfortunately, the XE4 support is taking longer than hoped. To support XE4 mobile, it is requiring massive changes under the hood. The Delphi XE4 mobile version discourages the use of pointers and Embarcadero has deprecated TList (they recommend using the generics TList<> instead). Some of our code was written in 1999 or earlier. Pointers, TLists, and other stuff like it are all over the place. This release is turning out to be a major release (e.g., IECS will go from v4.0 to v5.0). We will release a beta version of our products in the next 2 weeks. In the meantime, you can check out my new Delphi CodeSmith blog. We wanted to send you a quick note about Rad Studio XE4 support. Hopefully, Rad Studio XE4 support will be available by the end of June. It has taken longer than we would like and for that, we apologize. But the good news is that all component products will support Win32, Win64, OSX, and iOS. This includes the RiverSoftAVG Charting Component Suite, Inference Engine Component Suite, Fuzzy Logic Component Library, and Genetic Algorithms Component Library. 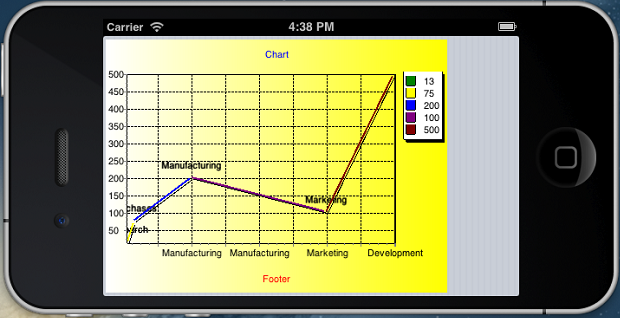 To hold you for now, here is a screenshot of the charts running on the iOS Simulator. We've released a patch for both release and evaluation versions of the Inference Engine Component Suite, Fuzzy Logic Component Library, and the Genetic Algorithms Component Library. Registered v4.0 users, please go to the Support page to get the latest version. Evaluation versions are available from the Downloads page. Evaluation versions are available from the Downloads page. Inference Engine Component Suite v4.0 Released!!! Registered v4.0 users, please go to the Support page to get the latest version. Registered users of IECS v3.0 and earlier, there is a crossgrade option to upgrade cheaply to IECS v4.0 from theOrders page. We hope to upload a trial version of IECS v4.0 soon; for now, there is an IECS v3.0 trial version available from the Downloads page. Registered v4.0 users, please go to the Support page to get the latest version. Please see FLCL Version History, GACL Version History, and RCCS Version History for more details. Registered users, please go to the Support page to get the latest versions. The RiverSoftAVG Charting Component Suite is available from the Downloads page. For Win32, Win64, and FMX! For more information, check out each product's web page. Please go to the Support page to get the latest version (or the download page for the RiverSoftAVG Charting Component Suite). DefinedTypes support with defmodules does not work. Demo applications have not been updated yet. Please go to the Support page to get the latest version. Every feature except defmodule support is complete. Defmodule support is huge and has been our most requested feature. Defmodules allow you to more easily partition your expert system, where each module has their own fact templates, facts, rules, and agenda. Defmodules can share fact templates and facts, and it is easy to switch control between modules. We are very excited about this feature. It is requiring the most extensive changes to the IECS since we were working on the Fuzzy Logic features for v2.0. However, from an expert system point of view, it is a totally non-breaking feature update (meaning it won't break any of your expert systems). From a source code point of view, it should also be a mostly non-breaking feature update though to get the power of defmodules you will need to change your code. We hope to release our next EEP in two weeks which will include the first defmodule support and FMX expert system functions. The EEP is available to all customers who purchased the IECS since January 1st or who have upgraded to the latest version 4.0. We've extended our FireMonkey sale until June 1st. In celebration of the upcoming FireMonkey support in our components, we are offering some of our largest ever discounts. Now through June 1st, take advantage of this pre-release sale to purchase or upgrade our software with prices from 10-30% off! Buy our products now and automatically get the FireMonkey support when they are released this May-June. Please go to the RiverSoftAVG Charting Component Suite page for more information and to get the latest version. In celebration of the upcoming FireMonkey support in our components, we are offering some of our largest ever discounts. Now through May 1st, take advantage of this pre-release sale to purchase or upgrade our software with prices from 10-30% off! Buy our products now and automatically get the FireMonkey support when they are released this May-June. The FireMonkey support is a free upgrade to our current customers of the Genetic Algorithms Component Library, Fuzzy Logic Component Library, RiverSoftAVG Charting Component Suite. There are special upgrade prices for our current Inference Engine Component Suite customers. To purchase a new or upgraded license, please go to the Order page. We are excited to be adding FireMonkey support to ALL of our products, including the Genetic Algorithms Component Library, Fuzzy Logic Component Library, RiverSoftAVG Charting Component Suite and the Inference Engine Component Suite. We are currently rolling out Early Experience Program (EEP) versions of our products and plan to release official versions this May-June. FireMonkey versions are not separate products. When you buy our products, you will get VCL (Win32/Win64) and FMX support in one package! In general, with the exception of the Charting Suite, FireMonkey is supported from the exact same code base so switching from VCL to FMX and back will be trivial beyond possible scoping issues. However, the ICES data-aware components will be VCL-Only, and there will be new FMX versions of the IECS dialogs. Please go to our Downloads page to get the evaluation versions. Rad Studio XE2 Releases are now available!!! Registered users can download our products from the Support page. Note: The new versions of our components support RAD Studio 2009 and up only! If you need support for older versions of Delphi/Rad Studio, the old versions of our software are still available. We know you have been waiting patiently and we apologize for the wait. We are hard at work on updates to our Component Suites for Embarcadero's RAD Studio XE2. The new RAD Studio XE2 is one of the most significant Delphi releases ever. Unfortunately, this means that updating our components for the new version has been a more significant effort than we have seen in awhile. We are working on 32-Bit AND 64-Bit updates for ALL of our components: RiverSoftAVG Charting Component Suite, Inference Engine Component Suite, Fuzzy Logic Component Library, and the Genetic Algorithms Component Library. We hope to have betas available to registered users by the first weekend in December. Longer term, we will be porting the GACL, FLCL, and most of the IECS (excluding dialogs) to FireMonkey. We are still evaluating whether we will port the Charting Component Suite to FireMonkey and to what level. Stay tuned for more information on the RCCS and FireMonkey. A final note, the new versions of our components will be for RAD Studio 2009 and up only. We decided to do this because of several reasons. It has been getting harder and harder to support the older versions as we've gone along, and it has prevented us from using many of the modern language features of Delphi. In addition, many of the older versions of Delphi are problematic on Windows 7 (our primary development and testing platform). All of our old versions will still be available for pre-RAD Studio 2009. Stay tuned and Happy Holidays! Holiday Sale!!! All New Purchases 20% off!!! Now through January 9th, all RiverSoftAVG New Purchases are 20% off. Happy Holidays from RiverSoftAVG! Rad Studio XE Release versions for all products available! Now through the end of the summer (September 23rd Extended through October 3rd!!! ), all RiverSoftAVG products are 10% off. Please go to the Order page now! We hope you are as excited about the new Rad Studio XE as we are. It seems to be a rock solid product. We have the new version and are in the process of updating our products. We hope to release the XE versions of our components by the end of this week. Thank you for your patience. There is a minor update to the Inference Engine Component Suite. This update fixes a dialog form stream error that occurred in earlier versions of Delphi because they do not support Explicit* properties added with D2006+ (which had been accidentally added when the form was saved in D2006+). Registered users can download the update from the Support page. Evaluation versions are available from the Downloads page. We apologize profusely for the web site downtime the last 2 days. Our (former) web hosting provider, Global Internet Solutions (GISOL), suspended our account without warning Wednesday night in an attempt to coerce us into "upgrading" to a more expensive solution. We'll spare you the gory details, but we have a new provider now - hopefully much better and more reputable. If you are in the market for a web hosting provider, avoid GISOL at all costs - they are crooks (seewww.report-gisol.comfor more details of things they do). Again, we apologize for the downtime and please resend any emails you might have sent. We have new released new evaluation versions of all of our products for Embarcadero RAD Studio 2010. You can download the new RAD Studio 2010 versions from our Downloads page. Please report all bugs to supportATriversoftavg.com. RAD Studio 2010 Release versions for all products available! Evaluation versions of our products will be released shortly. Please report all bugs to supportATriversoftavg.com. Genetic Algorithms Component Libraryv1.11 released! The Genetic Algorithms Component Library has been updated to v1.11. Please see the Genetic Algorithms Component Library page and theGACL Version History page for more information. We fixed some broken links to the Genetic Algorithms Component Library evaluation off of Downloads page. We apologize for the inconvenience. Due to a billing error, our web site was down this past weekend, February 14-16. During this period, our web site was down and no emails were received. Everything should now be back to normal. If you sent any email during that period, please send it again. We apologize for any inconvenience you suffered. Demonstration versions of our products have also been released. Please report all bugs to supportATriversoftavg.com. RiverSoftAVG Charting Component Suite v2.0 Released! 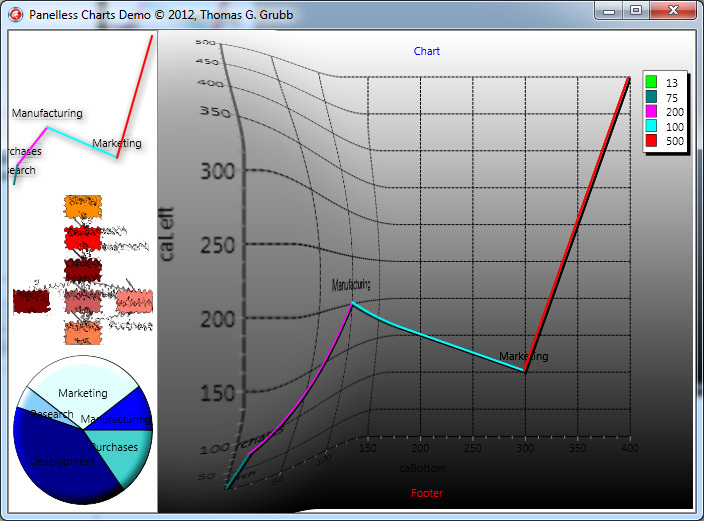 As always, the RCCS for Delphi 5, 6, 7, 2005, 2006, 2007, 2009 (Win32 and VCL.NET) is a free (for non-commercial use) with SOURCE charting Suite for adding charts and graphs to your programs. Please see the RCCS Version History for more details about the update. You can download the RCCShere or from the Downloads page. Beta demonstration versions of our products have also been released. This should be the last beta version of our products. Please report all bugs to supportATriversoftavg.com. More Delphi 2009 versions (Source Only) are here! We will next start working on the installers for the non-source code versions of our products. After the beta, demonstration versions of our products will start being released. Delphi 2009 versions are here! The beta versions for Delphi 2009 have started to trickle in. Registered users (Source Code only for now, sorry) of theGenetic Algorithms Component Library can download the beta from our Support page. Registered users of our the Object Inspector Component Suite who have not upgraded to Inspex from Raize Software can download a Delphi 2009 beta from our Support page as well. We also have a beta version of the RiverSoftAVG Charting Component Suite available from our Downloads page. We expect to release non-source betas and betas of the Fuzzy Logic Component Library and theInference Engine Component Suite in about a week. After the beta, demonstration versions of our products will start being released. We just wanted to let you know that RiverSoftAVG.com will support Delphi 2009 for all of our component products. We are currently working on updating our components to Delphi 2009 and unicode. In the coming weeks, we will be releasing the updated products as they are finished. We regret that it has taken awhile and thank you in advance for your patience. Evaluation versions of the Genetic Algorithms Component Library are now available from the Downloads page. These evaluations are fully functional, but will display a nag screen when running applications outside of Delphi. Genetic Algorithms Component Libraryv1.0 released! RiverSoftAVG Leap Year One Day Source Code Sale, Today Only! Our One Day Sale is happening right now, for one day only. Hurry andOrder today! Announcing the RiverSoftAVG Leap Year One Day Source Code Sale!!! In honor of the Leap Year and February 29th, RiverSoftAVG.com is having a ONE day sale where any source code component is 10% off! Come towww.RiverSoftAVG.com on February 29th and order any Source Code Package that day for 10% off. In addition, a special promotional bundle of the Inference Engine Component Suite and theGenetic Algorithms Component Library will be 15% off. The GACL has also been updated to v1.0EEP3 (this should be the last EEP version before release). This update fixes some bugs, adds better gene support, and offers a complete help file. Please see theGACL Version History page for more information. The update can be found on the Support page. The GACL is available for purchase as an EEP, with automatic upgrade to the release version when it becomes available. To order, go to the Order (Educational & EEP) page. In addition, the GACL has its ownweb page. The OICS has also been updated to v1.5.2. This update fixes a bug in setting SET properties (note that this bug was not in Inspex). Please see theOICS Version History page for more information. The update can be found on the Support page. The FLCL had to be recompiled to be compatible with changes introduced to the RiverSoftAVG Common Classes Library 3.6.2 to support the newGenetic Algorithms Component Library. The update can be found on the Support page. The IECS had to be recompiled to be compatible with changes introduced to the RiverSoftAVG Common Classes Library 3.6.2 to support the newGenetic Algorithms Component Library. The update can be found on the Support page. The RCCS had to be recompiled to be compatible with changes introduced to the RiverSoftAVG Common Classes Library 3.6.2 to support the newGenetic Algorithms Component Library. The update can be found on the Support page. Fuzzy Logic Component Library Released! The FLCL has been released as a stand-alone product for those who want the power of fuzzy logic in their programs without the full expert system support (and cost) provided by the Inference Engine Component Suite. In addition, the FLCL has been updated to v2.7. This update fixes some bugs, adds some functions, and adds a cool new demo application,Faucet Control Demo. Please see the Fuzzy Logic Component Library page and theFLCL Version History page for more information. Registered users of the Early Experience Program can get the new version from the Support page. Our freeware Flocking and Formation Flocking Demo has been updated to v1.3.1. This update adds packages for Delphi 2006 and 2007 as well as updates the help file. The RiverSoftAVG Charting Component Suite has been updated to v1.5.1. This version adds support for RAD Studio 2007 (Win32 and .NET). As always, the RCCS for Delphi 5, 6, 7, 2005, 2006, & 2007 (Win32 and .NET) is a free (for non-commercial use) with SOURCE charting Suite for adding charts and graphs to your programs. Please see the RCCS Version History for more details about the update. You can download the RCCShere or from the Downloads page. The IECS has also been updated to v2.6.1. This update fixes some bugs, supports RAD Studio 2007 (Win32 and .NET), and adds a cool new demo application which shows the Rete Network created for your expert systems. The FLCL has also been updated to v2.6.1. This update adds support for RAD Studio 2007 (Win32 and .NET). Please see theFLCL Version History page for more information. The frequency of spam and worms has been steadily increasing the last few years. Within the last few months, however, the pure volume of spam has become overwhelming. The tgrubbATRiverSoftAVG.com email account receives greater than 150 SPAM emails a day. Anti-spam software is of limited help. At this point, I barely look at all the email subjects per day, let alone their contents. I am sure that once or twice legitimate email messages must have been deleted by accident... (If you have sent an email message with subject "Hello", "Thanks", "Increase your member", etc :-) I apologize that I haven't replied. As a general rule, please try to use descriptive subjects). Long story short, the tgrubb email account will be deleted soon (probably by the end of September). After that, emails sent to that address will bounce. Please change your address books to use tggrubb AT No Spam RiverSoftAVG.com (note the extra "g"). You can start using this email address immediately. I apologize for the inconvenience. Note: For the time being, the support email address will stay active. Though even that email is starting to be overwhelmed. New TIxItemListInspector component which provides all of the same capabilities as the TIxItemListEditor (old TRSItemListEditor), but allows the individual items to be customized in more ways and use property presets. Please see the rest of the Inspex 2.0 Press Release. More information is also available on theObject Inspector Component Suite page and http://www.raize.com/DevTools/Inspex. There is a new evaluation version of the Object Inspector Component Suite from the Downloads page. There is now an evaluation that supports Delphi 2007 as well. The RiverSoftAVG Charting Component Suite v1.5 has been released! This version adds a new chart type (Guides) as well as Data-Aware Chart Types! There are also numerous bug fixes and other small improvements. In addition, the installer now directly support Delphi 2007. As always, the RCCS for Delphi 5, 6, 7, 2005, 2006, & 2007 (Win32 and .NET) is a free (for non-commercial use) with SOURCE charting Suite for adding charts and graphs to your programs. Please see the RCCS Version History for more details about the update. You can download the RCCShere or from the Downloads page. The IECS has also been updated to v2.6. This update fixes some bugs, adds for-in loop support, and includes the updated RiverSoftAVG Charting Component Suite v1.5. In addition, the installer now directly support Delphi 2007. A new demo will be available soon. The Object Inspector Component Suite has been updated to version 1.5.1. This update fixes a few bugs and adds a few new features. In addition, the installer now directly support Delphi 2007. Please see the OICS Version History for more details. Registered users can download it from theSupport page. A new demo will be available soon. The Object Inspector Component Suite has received a major upgrade, to version 1.5. This version adds DB inspector support! In addition, it fixes a few bugs. The new TRSDBInspector component provides a powerful and flexible DB inspector and allows inspection and modification of multiple TDataSets (through their TDataSource connections) in an object inspector type format. Please see the Object Inspector Component Suite and OICS Version History pages for more details. Registered users can download it from theSupport page (it is still a free upgrade). There is also a demo version available from our Downloads page. The Object Inspector Component Suite has been updated to version 1.4. This update fixes a few bugs. Please see the OICS Version History for more details. Registered users can download it from theSupport page. The RiverSoftAVG Charting Component Suite v1.2 has been released. This version fixes some bugs and improves the display of labels. 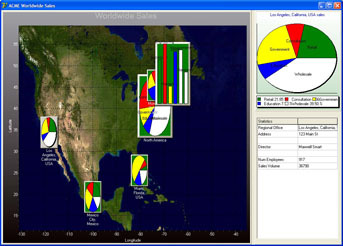 As always, the RCCS for Delphi 5, 6, 7, 2005 & 2006 (Win32 and .NET) is a free (for non-commercial use) with SOURCE charting Suite for adding charts and graphs to your programs. Please see the RCCS Version History for more details about the update. You can download the RCCShere or from the Downloads page. The IECS has also been updated to v2.5.1a. This update includes the updated RiverSoftAVG Charting Component Suite v1.2 and includes no other changes. We'd like to wish everyone Happy Holidays & Happy New Year! We know it has been slow around here lately but the new year should see some exciting stuff from us. Have a safe and wonderful holiday season! The RiverSoftAVG Charting Component Suite v1.1 has been released. 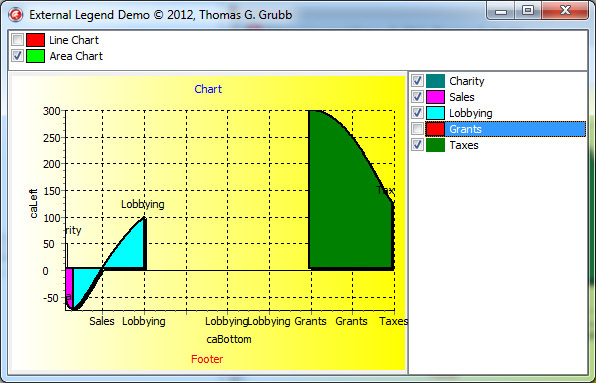 This version adds a new chart type, the equalizer. It also fixes some bugs. 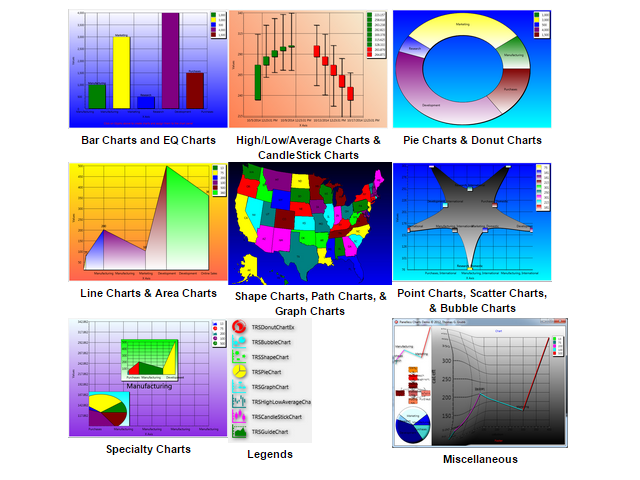 As always, the RCCS for Delphi 5, 6, 7, 2005 & 2006 (Win32 and .NET) is a free (for non-commercial use) with SOURCE charting Suite for adding charts and graphs to your programs. Please see the RCCS Version History for more details about the update. You can download the RCCShere or from the Downloads page. The Object Inspector Component Suite has been updated to version 1.3. This update fixes a couple of small bugs and adds OnValidated and OnValidateError events. Please see the OICS Version History for more details. Registered users can download it from theSupport page. Hopefully, in a few days, we will have an updated evaluation version for download. We're moving our web site to a different web hosting account. Unfortunately, you may notice some downtime, quirky pages, or other errors. We apologize for any inconvenience. HelpScribble Apprentice, our free utility application for HelpScribble users, has been updated to 0.9.9.93. This version updates HelpScribble Apprentice (and Diff tool) to properly handle links that contain windows (e.g., windows defined by HS' Windows Editor). Please see ourHelpScribble Apprentice page for more details. HelpScribble Apprentice, our free utility application for HelpScribble users, has been updated to 0.9.9.92. This version updates HelpScribble Apprentice (and Diff tool) to be compatible with the latest file format of HelpScribble v7.6. Please see ourHelpScribble Apprentice page for more details. HelpScribble Apprentice, our free utility application for HelpScribble users, has been updated to 0.9.9.91. This version fixes some wizards bugs. Please see ourHelpScribble Apprentice page for more details. The Object Inspector Component Suite has received a small update, to version 1.21. This update fixes some small bugs, including ctrl-arrow support within the text box and to be able to *not* sort properties. Please see the OICS Version History for more details. Registered users can download it from theSupport page. The hottest Delphi topic on the web right now is Borland's plans to divest its IDE (including Delphi) and other products. We decided we should chime in to reassure our customers. RiverSoftAVG is cautiously optimistic about this plan. You can even say we are actually excited about it - the right company can really invest in Delphi to make it even better and expand its customer base. We wish Borland the best of luck in finding the right DelphiCo. Our customers can rest assured that RiverSoftAVG is a Borland Technology Partner and we plan to be a new DelphiCo Technology Partner in the future. We continue to support old products and develop new products for Delphi. We plan to support our beloved Delphi now and in the future, wherever Delphi goes. As promised, The RiverSoftAVG Charting Component Suite v1.0.1 has been released. In addition to the other bug fix, there are a few more non-critical bug fixes. Please see the RCCS Version History for more details. You can download the RCCS here or from the Downloads page. New versions of the IECS have been released that include distributions of the new RiverSoftAVG Charting Component Suite. Registered users of v2.5 can download from theSupport page. We apologize for the error. All the test cases deal with pre-made cases! Oops. HelpScribble Apprentice, our free utility application for HelpScribble users, has been updated to 0.9.9.8. This is a great update, that not only fixes bugs and updates the help file, but adds some cool new features including ToDo notes, HelpScribble File Diff tool, and Create New Class Member Topic wizard. Please see our newHelpScribble Apprentice page for more details. HelpScribble Apprentice has also been added to ourProducts page. Inference Engine Component Suite v2.13 updated. As promised, the fix for v2.13 users who want to use Delphi 2006 is now available. Registered users of IECS v2.13 can download the new v2.13a version for Delphi 2006 from the Support page. The Charting page contains an awesome new beta version of the RCCS. We took the opportunity to add a new Graph chart type while having to re-release the Charting suite because of the RiversoftAVG Common Classes Library (discussed below). If there are any issues, please emailsupport@RiverSoftAVG.com Please see theRCCS Version History page for more details. Inference Engine Component Suite has been updated to reflect new versions of the RCCL and theRiverSoftAVG Charting Component Suite changes. Registered users of the IECS v2.5 EEP can download the new version from http://riversoftavg.com/Files/BETA/ The new evaluation version of the IECS v2.5 for BDS 2006 is on the Downloads page. We apologize to our registered users of IECS v2.13, as the download is not ready today, but hopefully tomorrow. Object Inspector Component Suite has been updated to v1.19 to reflect the new version of the RCCL. Please see the OICS Version History page for more details. Registered users can download the new version from ourSupport page. HelpScribble Apprentice, our free utility application for HelpScribble users, has been updated to 0.9.9.8. This is a great update, that not only fixes bugs and updates the help file, but adds some cool new features including ToDo notes, HelpScribble File Diff tool, and Create New Class Member Topic wizard. Please see our newHelpScribble Apprentice page for more details. The OICS has gotten a small update to v1.18. This version includes support for Borland Developer Studio (Delphi 2006) and adds some new methods to classes. Please see the OICS Version History page for more details. Registered users can download the new version from ourSupport page. There is also a new evaluation version for Delphi 2006 on the Downloads page. RiverSoftAVG is proud to announce that 2 of our products, the Inference Engine Component Suite (IECS) and the RiverSoftAVG Charting Component Suite (RCCS), are on the Partner DVD for BDS 2006. The partner DVD includes the IECS evaluation version and the full source version of the RCCS. Delphi 2006 versions of all our products will be available from the web site this week. The Charting page contains a new beta version of the RCCS. This version includes support for Borland Developer Studio (Delphi 2006), bug fixes, and a vastly improved help file (still incomplete though). If there are any issues, please emailsupport@RiverSoftAVG.com Please see theRCCS Version History page for more details. We are pleased to announce that the Inference Engine Component Suite now supports Delphi 2006. IECS v2.13 has been updated to support Delphi 2006 (Win32). In addition, the IECS v2.5 beta also supports Delphi 2006 (Win32 and VCL.NET). Registered users of IECS v2.13 can download the version for Delphi 2006 from the Support page. Registered users of the IECS v2.5 EEP can download the new version fromhttp://riversoftavg.com/Files/BETA/ The evaluation version of the IECS v2.5 for BDS 2006 is on the Partner DVD that comes with BDS 2006. For registered beta users and owners of the IECS v2.5 EEP, there is a new beta version available. This version does some bug fixes for .NET, adds the Paint Demo for .NET, and updates the installers. If there are any issues, please emailsupport@RiverSoftAVG.com Please go tohttp://riversoftavg.com/Files/BETA/ for the new download. HelpScribble Apprentice, our free utility application for HelpScribble users, has been updated to 0.9.9.7. This update fixes bugs, updates the help file, and adds some new features, including a cool new ability to Copy links in current topic to a See Also Topic. Please see our newHelpScribble Apprentice page for more details. Here we go again :-( Last night's updates, through unfortunate user error (e.g., I was a moron), contained the previous version of theRiverSoftAVG Charting Component Suite. We have rebuilt and uploaded new versions of the software. If you downloaded the updates before 6:30 p.m. EST, please redownload them. We apologize for the inconvenience. Thank you for your patience. We apologize for some installation issues (missing files, etc). We are trying to update our installer scripts for the new version of the IECS coming out. We are changing package version numbers, adding files, etc and some things occasionally get missed. Hopefully, everything is correct now. If not, please send us an email atsupport@RiverSoftAVG.com Thank you for your patience. For registered beta users and owners of the IECS v2.5 EEP, there is a new beta version available. Please go tohttp://riversoftavg.com/Files/BETA/ for the new download. The Charting page contains a new beta version of the RCCS. This version fixes a few bugs and installer issues. Please see theRCCS Version History page for more details. Classes Library. Registered users can download the update from theSupport page and the evaluation version is available on the Downloads page. We've added a couple new books we recommend for AI on ourRecommended Books page. As an added bonus for registered beta users, we have added a preview build (basically a we-don't-know-when-we-will-finish-and-distribute version) of a new component library we are working on, Genetic Algorithms Component Library. This component library provides a genetic algorithm component and a simple genetic programming component. Currently, the code is ready to go and includes demo programs. However, there are *no* help files as of yet, nor do we know when we will have time to do them. Please go tohttp://riversoftavg.com/Files/BETA/ for the new download. The Object Inspector Component Suite has been updated to 1.15. This version smashes some bugs, updates the help file, and adds some cool new demos, such as the Simple INI Editor. Please see the OICS Version History page for more details. Registered users can download the new version from our Support page. The Charting page contains a new beta version of the RCCS. This version fixes a bug and finally adds diagonal gradients. Please see theRCCS Version History page for more details. The Charting page contains a new beta version of the RCCS. This version fixes some bugs, including memory leaks and sorting errors. Please see theRCCS Version History page for details. HelpScribble Apprentice, our free utility application for HelpScribble users, has been updated to 0.9.9.6. This update fixes bugs and adds the ability to launch HelpScribble from within the application to compile the help file. Please download the application for more details from our Downloads page. Beta Testers Wanted! You can apply for the beta test on theBETA Signup page. Inference Engine Component Suite EEP prices extended 2 more weeks! The 10% off special has been extended for 2 more weeks. From now until Aug 15th, get the IECS for 10% off. Please go to theOrder page. The Charting page contains a new beta version of the RCCS. Also, the License text file is available for downloading from the page. We've added an Announcements mailing list which you can subscribe to. We will use this list to notify you of new betas and new products. If you want to receive announcements, please subscribe to the announcements mailing list: announcements-subscribe@riversoftavg.com. We have added sample screenshots of the RiverSoftAVG Charting Component Suite. Also, we discuss why RCCS may be good for you. Go to the Charting page for more details. Sometime during the last few months, it appears that the feedback form broke down (no wonder we never heard complaints :-) Profuse apologies and it should be working now. * .NET support! IECS now supports Delphi 2005 VCL.NET. The Win32 and .NET versions are identical except that the .NET version does not have DB support, the User Function Wizard, and some minor miscellaneous functions. * New Charting Components! 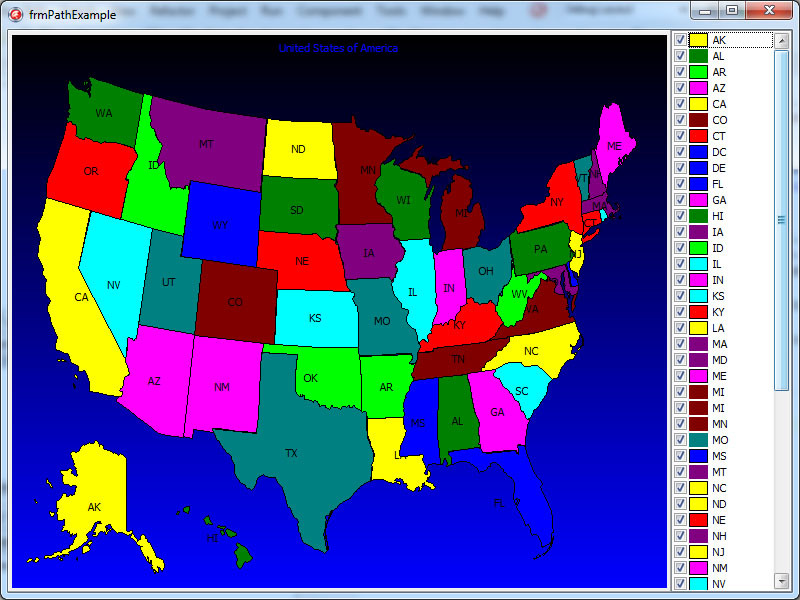 The IECS now uses RiverSoftAVG’s own Charting Component Suite for .NET and Win32. This solves problems with depending on TeeChart, which was a problem for .NET users especially but was also a problem for TeeChart Pro purchasers (which required a recompilation of the IECS). The RiverSoftAVG Charting Component Suite is free (to everyone) with source for non-commercial use. A Commercial use license is included free with all versions of IECS v2.5 users ($100 value). Please see the IECS Version History page for more details. The EEP is a beta version, with source code, which provides an opportunity for users to experience the new version 2.5 BEFORE it is released. EEP owners automatically receive version 2.5 when it is released. The EEP is for source-code owners only, which allows quicker distribution of changes to users and more exact feedback from users. From now until July 31st, all prices are 10% off. To order, please go to the Order page. RiverSoftAVG Charting Component Suite: Free Charting With source! • FREE for use in your non-commercial applications. A commercial license is available by one-time purchase (upgrades are free) or by submitting an accepted software component to be included into the RiverSoftAVG Charting Component Suite. A commercial license is also included free with IECS v2.5. The Inference Engine Component Suite has been updated to v2.13. This version updates the IECS for Delphi 2005 (Win32) and includes a bug fix plus changes to the Fuzzy Logic Component Library. The Object Inspector Component Suite has been updated to v1.14. This version updates the OICS for Delphi 2005 (Win32) and includes a bug fix. Note: There were a lot of distributions updated and changed for these updates. If there are any problems installing them, please email us atsupport@RiverSoftAVG.com Thank you. Registered users can download all updates from the Support page. New evaluation versions are available from theDownloads page. 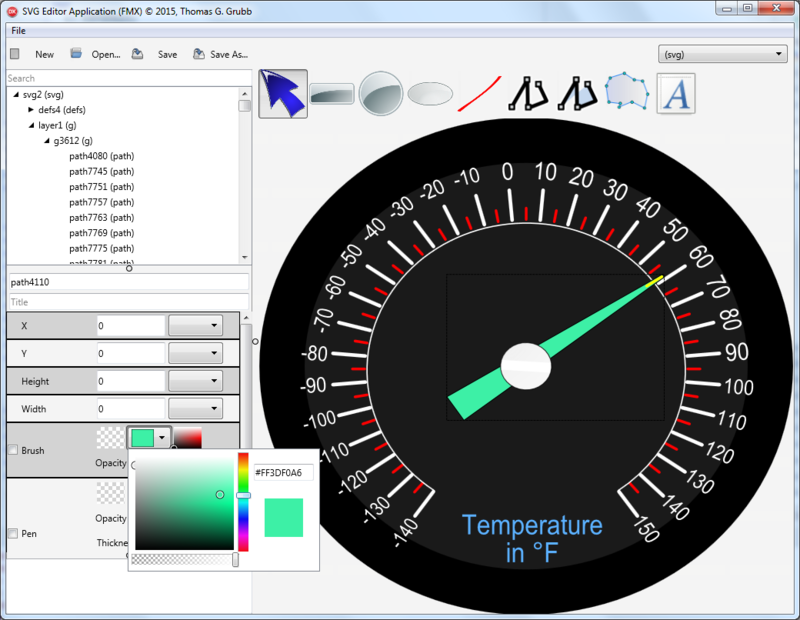 Our free Flocking Software has been updated for Delphi 2005, Win32 and .NET. In addition, the distributions for the flocking demo and the formation flocking have been combined. You can get this free software from ourDownloads page. We know it's been a long time between updates. We apologize and want to assure you we are here, alive, and will be working hard in 2005! We would like to take this opportunity to wish you and your family Happy Holidays and Happy New Year! HelpScribble Apprentice, our free utility application for HelpScribble users, has been updated to 0.9.9.4. This update adds a couple of cool new features: a blazingly fast Move Topics Wizard and Control-click navigation around your HSC file. Please download the application for more details from our Downloads page. The Inference Engine Component Suite has been updated to v2.12. This version includes a couple of bug fixes plus changes to the Fuzzy Logic Component Library and its help files. Our latest newsletter for Spring 2004 is now available. You can go directly to the Newsletter #15: Spring 2004 Edition page or see all of our newsletters from theArticles & Tips page. We've added two mailing lists to our site. First, there is a completely anonymous mailing list to receive our newsletters automatically. For more information, please go to the Articles & Tips page. Also, we have a new support mailing list. For information on that mailing list, check out our Support page. The Inference Engine Component Suite has been updated to v2.11. This version includes bug fixes, 9 new user functions, a global variables editor, and updated help files. You can get a complete list of the changes atIECS Version History page. Registered users can download the update from the Support page. New evaluation versions are available from theDownloads page. We've uploaded to our Downloads page a new free class (including the source): RSCollisionMap. The TRSCollisionMap is good for 2D Level, or platformer-type, games with not very many moving objects. The old overhead type games, like tank battle with buildings and a couple moving tanks (and bullets), are perfect for it. Some other examples would be BreakOut, Jumpman, Space Taxi, etc. You can download the source and a simple demo executable from the Downloads page. HelpScribble Apprentice, our free utility application for HelpScribble users, has been updated to 0.9.9.3. The update updates the application to work with HelpScribble 7.3.1 files. Also, it adds a ton of command line parameters to automatically load a help file, change its options, and optionally save and Exit. Using these parameters and the new HelpScribble command line options, you can automate building help files using batch files. Please download the application for more details from our Downloads page.